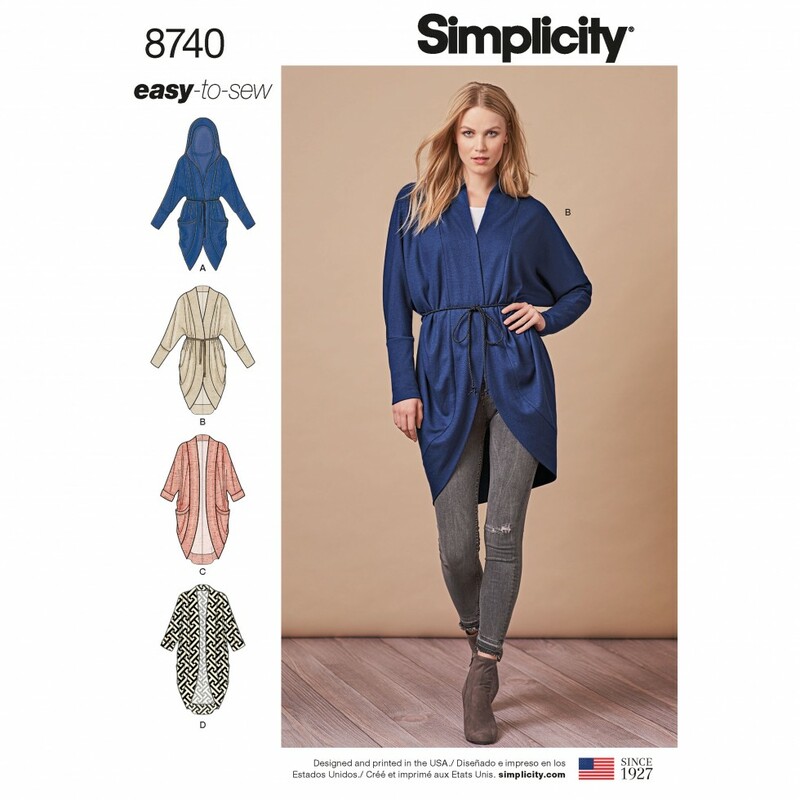 These easy to sew cardigans are the perfect piece for a windy day. Featuring a cocoon silhouette with longer hem in the back for added coverage. Can be used with a tie waist or without and optional hood and sleeve variations. Simplicity sewing pattern.